It is available for 2500 Euro. 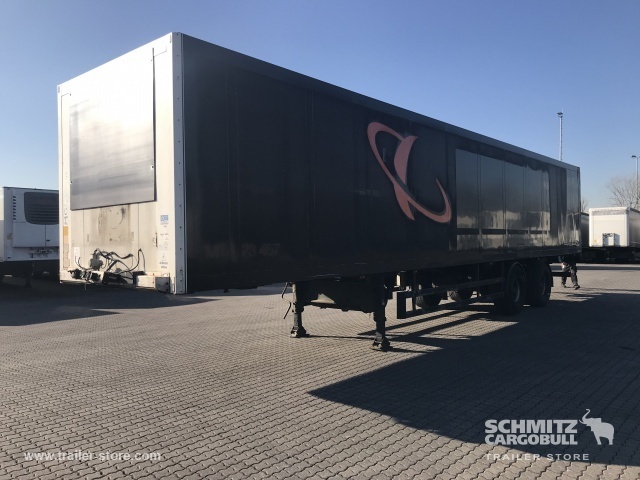 Our SCHMITZ closed box semi-trailer are available in a dealer's stock under your request. Gross Vehicle Weight: 31500 kg. The details on axles, suspension and euro norm include: suspension: air, number of axles: 3, brakes: disc, ABS, EBS. Bodywork: loading length: 13410 mm, loading width: 2490 mm, loading height: 2250 mm, loading volume: 75.00 m³. The payload is 22020 kg.